There’s more to Colombian coffee than Juan Valdez and his trusted mule. Colombia is one of the world’s leading producers of coffee and thanks to its near-perfect high-altitude climate and unique geography, elite Arabica beans can be hand-picked, bagged, and delivered to your door. But for Colombian coffee farmers, growing beans isn’t just about crafting the perfect caffeine-kick, it’s an integral part of their culture and identity. So, while you might rely on coffee to keep you from dozing off at your desk, over 2 million Colombians and 500,000 coffee farmers are quite literally depending on the coffee-making business to survive. Needless to say, few beans measure up to the authentic Colombian coffee bean. So, if you’re reaching for a bag of Colombian beans for your morning brew, we know you must mean business. Volcanica Coffee is a specialty importer that currently carries and distributes over 130 gourmet coffee beans from volcanic regions around the world. Volcanica’s organic Colombian Supremo Andeano Estate Coffee offers more than just a lengthy name. These particular beans are grown in the Colombian Andes at over 5,000 feet in elevation. Being high-elevation beans the flavor profile in Volcanica’s Colombia Supremo bean will generally be more acidic, aromatic, and flavorful than a low-elevation bean. Also, as a result of their high elevation home, Volcanica Colombia Supremo is designated a sweet, smooth, and medium to full body bean. Flavor notes are fruity, sweet, and floral, with hints of nutty notes. Interestingly, Volcanica coffee beans are also shade grown. According to coffee connoisseurs, shade growing beans is a traditional method that is both more environmentally responsible and can result in a bigger, better bean. In fact, Volcanica’s sustainable methodology has earned the brand both Rainforest Alliance and Fair Trade Certifications. So, when you’re at home sipping on a Volcanic Colombia morning brew, you can rest assured knowing that you’re not only getting a quality cup of joe, but you’re also supporting an organization recognized for its humanitarian efforts. 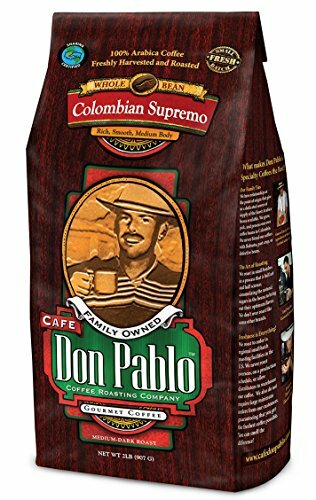 Employing their keen coffee senses, Café Don Pablo crafts a rich, mild, and smooth bean that is said to highlight the slight caramelization of the natural sugars in the bean. With strong ties to the point of origin, Café Don Pablo maintains that their bean is an authentic medium-dark Colombian Supremo with citrus notes and a smooth chocolatey-walnut finish. Instead of cranking beans through a rigorous production schedule, Café Don Pablo slow-roasts to order, which means you’ll receive a fresh batch, every single time. Not only is Café Don Pablos’ roasting facility Food Safety Certified and Certified for Organic Production, but they also employ specialty quality grader to safeguard the quality of their coffee. A family-owned and operated company, Cafe’ Don Pablo embodies the small town Colombian coffee vibes that are best suited for an true Colombian brew. Often credited for putting Colombian coffee on the map, Juan Valdez is the godfather of Colombian coffee culture. Although Valdez is a fictional character that was created by the National Federation of Coffee Growers of Colombia, he serves as a Colombian coffee icon and is said to represent all Colombian coffee farmers. The Juan Valdez brand maintains that their beans embody the quality, values, and traditions of Colombia. In fact, their mission is to “captivate the world with Premium Colombian coffee,” and they do so by proudly supporting small Colombian coffee growers and hand growing, picking, and distributing their eco-friendly beans. The Gourmet Balanced Colombian bean, in particular, is said to “evoke a walk in the forest,” and is a part of their specialty, sustainable coffee line. Just as this gourmet bean implies with its name, Juan Valdez Balanced Colombian coffee strikes the perfect balance between acidity and medium-body flavors. Juan Valdez is USDA Certified Organic and certified by EU Organic, which means the production of their beans protects natural resources and promotes conservation. 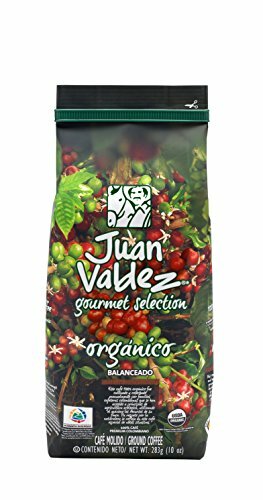 So, while we can’t all afford a trip to Colombia, a bag of Juan Valdez will transport the spirit of the Colombian rainforest right to your kitchen and cup. Volcanica Coffee is at it again with Fair Trade Certified, premium Colombian coffee. The difference, however, between their Colombian Supremo and Colombian Peaberry, is that the Colombian Peaberry variety is the rarest coffee bean in the crop. So, what makes the peaberry bean so special? Well, unlike the typical coffee bean that grows two to a fruit, the peaberry is only child. According to Volcanica, only 5 percent of the coffee bean crop is Colombian Peaberry. As a result, peaberry often has an intense flavor with uniquely subtle and soft flavor notes. Volcanica Colombian Peaberry offers just a hint of cherry-chocolate, malt and walnut. Similar to its sister-bean, the Colombian Supremo, Colombian Peaberry is grown in the high-elevation Colombian Andes in volcanic ash. You probably noticed that, unlike other coffee bean brands on this list, Out of the Greys’ Colombian coffee isn’t a Colombian Supremo bean. Instead, Out of the Grey ops to harvest small-batch organic Excelso beans, which are slightly smaller than Supremo coffee beans, but are arguably more popular. Directly on the bag, Out of the Grey reveals that their beans are produced in Medellin. According to Colombian coffee experts, Medellin is one of the largest coffee growing regions in Colombia and has a distinct medium-body coffee profile that lacks over-the-top fruitiness. Also on the bag, Out of the Grey reveals they are part of a 2nd level cooperative, Cosurca, which is often recognized for producing some of the highest quality coffee in the country. Consurca is also credited for improving the lives of its coffee farmers and adopting environmentally-friendly processing practices. Out of the Grey Coffees’ Medellin Excelso beans are slow roasted in small batches and have a brown sugar, maple syrup, and nutty aroma. They contain chocolate and dried fruit notes that work together seamlessly to create the perfectly crafted full-bodied cup. There’s a whole lot to love about a coffee brand that not only delivers high-quality beans, but also cares about the social, environmental, economic, and ethical factors of the coffee bean business. Your mom probably told you never to join a cult. Fortunately, for coffee addicts worldwide, being a part of the Koffee Kult is more like joining a movement. Koffee Kults’ Colombian Huila beans are rich, smooth, organically sourced, and make a full-bodied cup of joe even mom will approve. These beans are sourced from small family-owned farms in Huila, Columbia, which according to the Colombian Coffee Grower’s Federation, is known to produce approximately 18% of the country’s coffee. 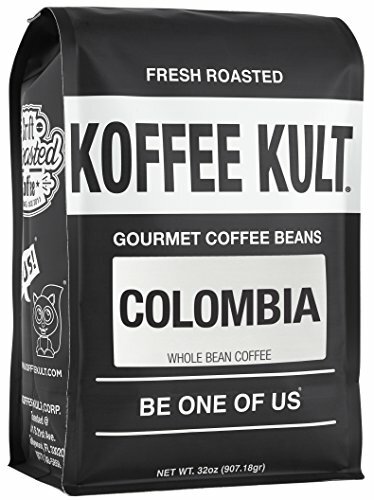 Koffee Kults’ 100% Arabica beans are bold, but not bitter. Their ethically sourced beans maintain the delicate profile of an authentic Huila bean with a hint of cherry and caramel. Similar to other coffee brands on this list, philanthropy isn’t lost on Koffee Kult. Although they’re located in the states, their employees make frequent trips to Colombia farmlands to plant trees and support sustainable planting practices. So, whether you choose to sip, pour, drip, or ice their beans, Koffee Kult insists your home will be instantly filled with the sweet chocolatey aroma of a fresh, flavorful brew. Volanica Coffee is at it again, but this time they’re proving that you don’t have to be a caffeine fanatic to enjoy tasty Colombian coffee. Just like Volcanicas’ traditional Colombian Supremo bean, Colombian Supremo Decaf is grown high in the Colombian Andes, is Fair Trade Certified, and roasted to order. Volcanica uses a specialized Swiss Water process to protect the unique characteristics and flavor of the Colombian Supremo bean. Unlike other decaf beans on the market, the Swiss Water process is 100% chemical free, while still resulting in a bean that is 99.9% caffeine-free. The rich, smooth finish and nutty, full-bodied flavor of this decaf bean is sure to trick your taste buds into thinking you’re drinking the real deal. Just because you’re the single-serving kind of coffee drinker, doesn’t mean you have to sacrifice quality to get your caffeine kick. 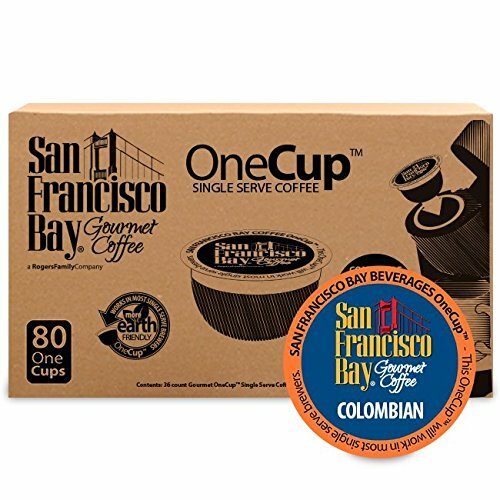 San Francisco Bay offers a gourmet, single-serving, 100% Colombian Supremo blend that is compatible with most Keurigs and Cuisinarts. However, their cups are compostable, so you don’t have to worry about contributing to the global plastic epidemic. Interestingly enough, compostable cups aren’t the only box San Francisco Bay checks regarding sustainability. Every coffee bean you buy helps fund a “Community Aid” program that allows the San Francisco Bay team to build schools, housing, clinics, and fund scholarships in the small towns where they source their beans. Like Volcanica, San Francisco Bay believes that shade-grown coffee produces a more delicious cup of joe. So, when you place that tiny compostable cup in your Keurig, you can expect a quality, flavorful cup of coffee with a moderately sweet taste. Jo Coffee claims that not all coffee is created equal, and we have to agree. But since their tagline is “Coffee perfected,” we’d like to think that they take their coffee brewing business pretty seriously. Colombia Jo isn’t your average cup of joe. The beans in this brew are sourced directly from the top 2% of all Certified Organic Arabic raw coffee worldwide. The subtle undertones in Colombia Jo include caramel, toasted almond, and cane sugar. 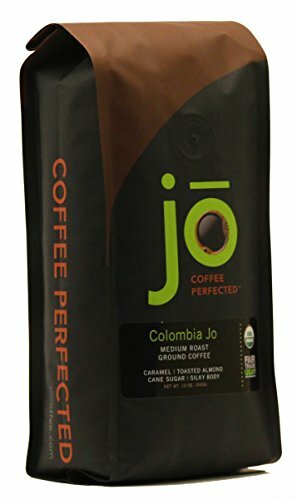 A medium artisan roast, Colombia Jo is Fair Trade Certified, USDA Certified Organic, and contains no GMO or artificially added flavors. Colombia Jo is leading the way in organic coffee bean sales on Amazon, so getting your hands on a fresh bag of beans couldn’t be easier. Java Planet doesn’t only claim to be the best coffee on the planet, they also believe their coffee is the best for the planet. And judging by their laundry list of certifications, we are inclined to trust their judgment. 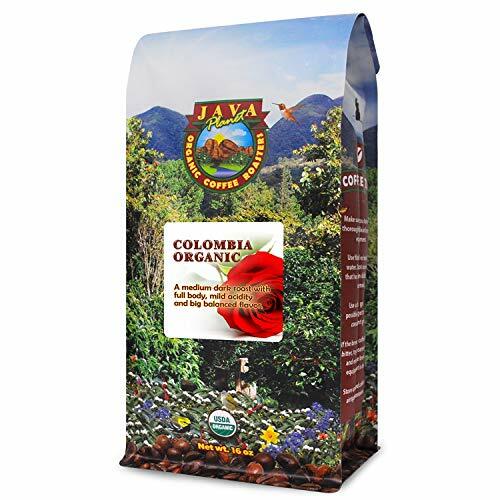 Java Planet’s Colombian beans are not only USDA Organic and Fair Trade, but they’re also part of the Rainforest Alliance, which promotes conservation and sustainability. Interestingly, Java Planet is also one of the only coffee brands on this list that is Bird Friendly, which means they follow strict guidelines for foliage cover, tree height, and biodiversity. As far as the beans themselves, Java Planet Colombian beans are 100% Arabica beans sourced by the La Pradera Estate. A family-owned and operated business, Java Planet aims to deliver the best cup of coffee you’ve ever had. To achieve this goal, they roast in small batches for better quality control and date stamp each bag for optimal freshness. First, it’s important to note that these terms are used to describe and grade exportable coffee beans from Colombia. Both Supremo and Excelso beans are high-quality coffee beans, and it’s actually possible for both beans to come from the same coffee tree. Well, Supremo is considered the largest graded bean, while Excelso is slightly smaller. Generally speaking, size matters in the coffee bean business, so a Supremo grade would technically correlate with the highest-quality coffee bean. However, the coffee drinking business really boils down to personal preference, so you can’t always judge a bean by its cover, or in this case, its size. It’s not uncommon for a coffee buff to refer to their favorite blend by its point of origin. However, in Colombia, coffee connoisseurs take things to the next level by classifying coffee beans by region. In fact, it’s not uncommon for coffee brands to display region details on their packaging to denote the quality of their beans. But before you write-off Colombian coffee lovers as coffee snobs, it’s important to understand the role each region plays in harvesting high-quality Colombian coffee. In general, coffee is a pretty finicky crop to cultivate. However, Colombia has a near-perfect climate and topography for coffee to thrive. In general, coffee grows best in volcanic ash or soil, at high elevation, and in places with at last 80 inches of rain, a year; Colombia checks all of these boxes. The Colombian Coffee Zone, which sits in the middle of the country, is where most of the country’s coffee is produced. However, several sub-regions have their own distinct microclimates that lend to a diversity of coffee notes and characteristics. So, depending on where and how the coffee is harvested, it will construct its own unique identity. Let’s be honest, you can’t really go wrong with Colombian coffee. Aside from being home to the 100% pure Arabica bean, nearly every one of the 500,000+ coffee farmers in Colombia hand-pick and harvest their crops. Basically, Colombians really, really love their coffee. So, the next time you pick up a bag of Colombian beans, you should feel good knowing that you’re contributing to a country that literally runs on coffee.